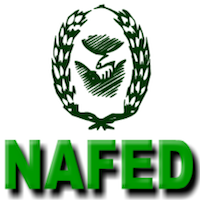 Online Application Details for National Agricultural Cooperative Marketing Fedration of India Limited NAFED Recruitment of 25 Senior Field Representative and 15 Junior Accounts Assistant is given below. Application form and duly attested documents are to be sent to relevant zonal offices of National Agricultural Cooperative Marketing Fedration of India Limited. In envelope super scribed with 'Application for the Post of Post Name'.